Today, Square Enix hosted the keynote of the Final Fantasy XIV FanFest in Tokyo, and producer and director Naoki Yoshida had a lot of new information about the upcoming expansion of Shadowbringer. First, an expanded version of the trailer of the extension was displayed, which you can see below. The trailer introduced a new city and new locations. Apparently we will be able to go to the alternative world called "The First" in the region called Norvandt. The mission will be to restore darkness in this area. How and why this happens is explained in the story update that comes with the next patch on March 26th. We see the first look at a new City Hub around the first version of the Crystal Tower with a few screenshots and a video. This city is called The Crystarium, and many have gathered here to fight the end of the light. A second city is Eulmore, where the rich and wealthy have just gathered comfortably to the end. It looks like Limsa Lominsa, but is different in many ways. Then on to Lakeland, the nearest area of ​​Crystarium. We also see some in-game footage of this. It is the area where players will begin their adventure, where people who believe in the legend of the Dark Warrior live. They believe that someone will come to save them from the light. Incidentally, there is no night in First. However, there are all kinds of special weather. We will see some screenshots of the dungeons coming with the extension. After that we move on to the next one new job, the dancer, will be a ranged weapon using throwing weapons. They will perform dances to perform skills. Some of them will also improve the party members. The job search to become a dancer will be in Limsa Lominsa. Yoshida-san then presented a new animal strain, the Dwarfs. In the first, the Lalafell is actually not the same as in our world. They are dwarves, they are a beast and live in the mountains. Below you can see her looks and a few screenshots of her villages, which are tiny. We also see a practical diagram of the corresponding names for the races in The First. Next are enemies named Sin Eaters and a powerful enemy by name called Innocence, which plays an important role in the story. Next up is the high-end raid on the menu. The name of the new series is "Eden". You can find a hint in the screenshot below. Character and monster design for this raid are handled by Tetsuya Nomura. You can also enjoy one of the characters he has designed. Her name is Gaia and she has a hammer (which is interesting because there are no hammers in Eorzea). Last but not least we throw one Look at a second race added in addition to Viera. 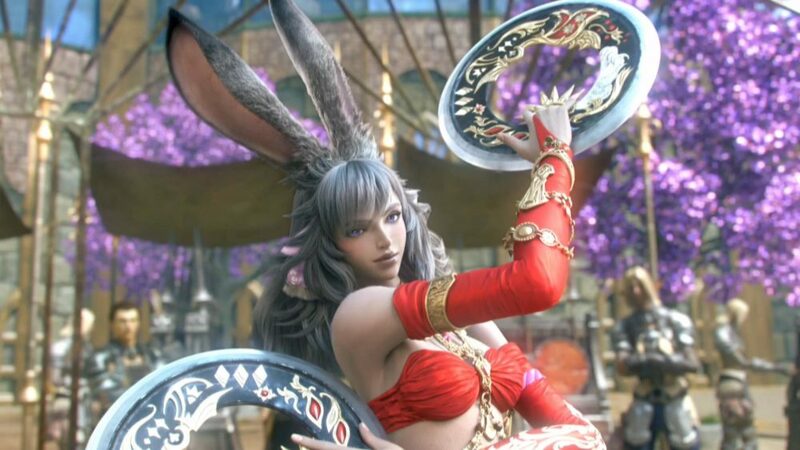 Since Viera will only be female for a reason, a male only breed and her name is Hrothgar. You can view them below. Both races have unique customization options and two clans. Viera and Hrothgar are their names in The Source, while in The First they are called Viis and Ronso. I see what you did there, Yoshi-P! If you want to learn more about Final Fantasy XIV and the upcoming Shadowbringer expansion, check out the official trailer and gunbreaker job, discovering some new areas, the Viera, Race, the YorHa Raid and more, some official ones Screenshots and artworks released after the last keynote, as well as fantastic artwork. If you want to get ready before releasing the expansion, Final Fantasy XIV: Stormblood is currently available for PS4 and PC and a few more updates, including a Final Fantasy XV crossover, and more story content. Shadowbringers will officially launch for PS4 and PC on July 2nd.